Blog / Living Room Design / The Decorist Design Off Winning Board Reveal! The Decorist Design Off Winning Board Reveal! 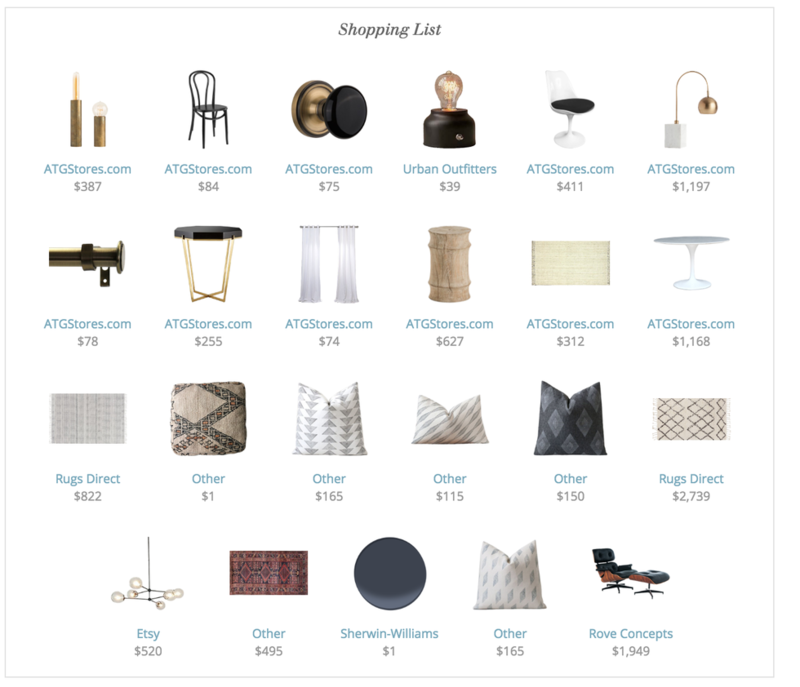 This summer’s Decorist Design Off has undoubtedly kept us on the edge of our seats. With such talented designers and stylish lifestyle bloggers in the mix, how could it not? As you remember, Director of Design Ashley Redmond was paired with Kyla Herbes of , and Decorist Classic Designer Jessica McCarthy was paired with . 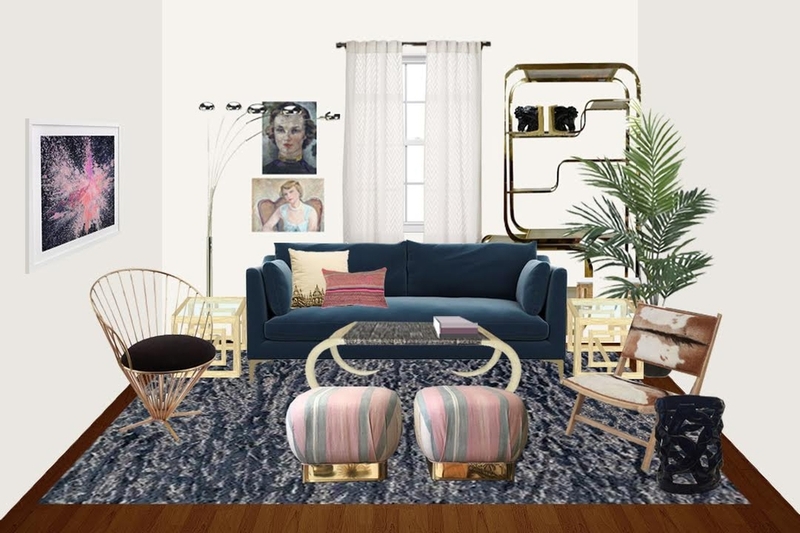 From the initial pairing of designer to blogger, the process has been exciting - each step bringing forth drool-worthy designs, tips to steal and an interactive format with their fans having a vote in the final rooms..
Joanna's Winning Design: Navy Boho! And upon seeing the final result, "I honestly cannot get over how real these look, almost like there was a super secret photoshoot in my house!" Kyla's Winning Design: Neutral Glam! 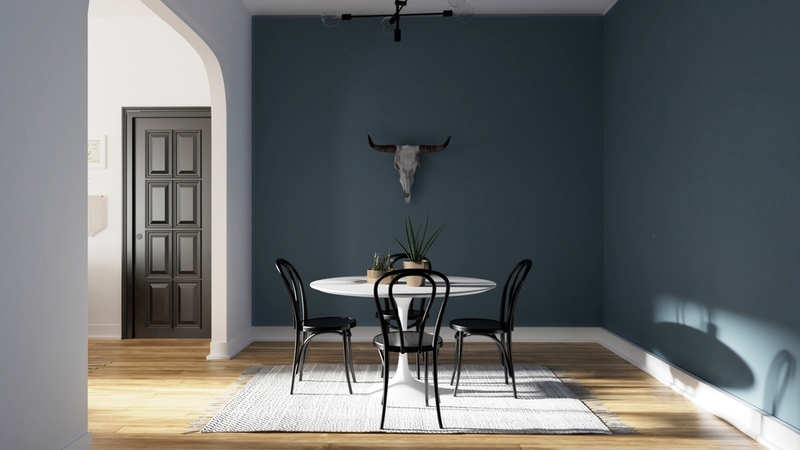 "Once we knew Neutral Glam was the clear winner, Decorist sent off my room specs, shopping list, and mood board design to their 3D rendering department," says Kyla. And upon the grand reveal? "Holy heart eyes, it was love at first sight." Sounds to us like Natural Glam was the natural winner! Well, phase one, two, and three are in the books! But it's not over yet.. the final stage of the Design Off is yet to be completed: installation! Watch this space to see how each of their rooms came to life. If you loved the designs, the Decorist experience is not just a special experience for blogger stars! You too could have your very own Design Off experience with your own room. Start a project today!